Mid America Arms carries pistols from Kahr Arms, a firm headquartered in New York with manufacturing facilities in Worcester Massachusetts. 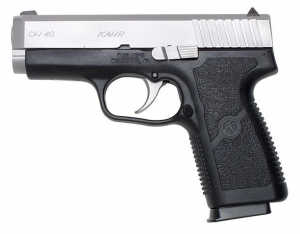 Kahr Arms firearms are well-regarded for their quality, reliability, and accuracy. The Kahr Arms CM and CW series of pistols are excellent choices for lawful concealed carry by permit holders and law enforcement officers. The Kahr Arms CW pistols are designed for concealed carry and are available in .45, .40 and 9mm calibers. 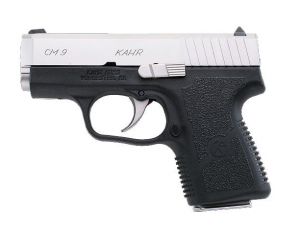 Kahr Arms CM9 is significantly smaller than the CW series pistols and is chambered for 9mm. All these pistols feature a black polymer frame and stainless steel slide. The Kahr Arms CW series have barrel lengths of 3.6” and are between 1.1 to .90 inches wide, depending on caliber chosen. The smaller CM9 is equipped with a 3” barrel. Ammunition capacity are 6+1 or 7+1 depending upon the firearm and caliber. Aiming accessories such as Crimson Trace and extended magazines are available. 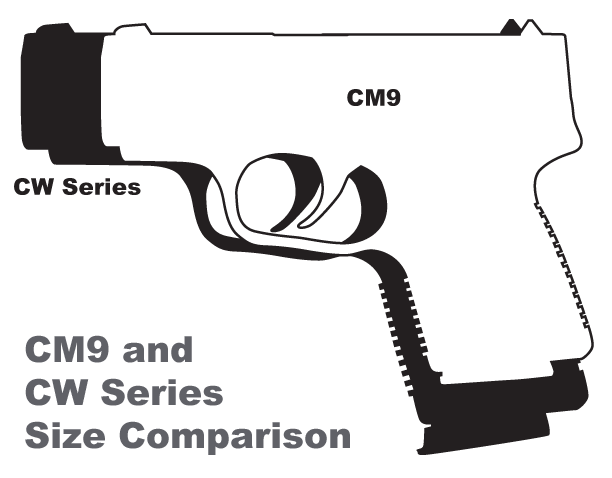 The CM9 and CW series pistols are double action only. These weapons do not have any additional safeties. Sights on the Kahr Arms CM9 and CW45, CW40 and CW9 series pistols are white dots/bars on black combat-style. The rear sight can be adjusted for drift/windage. Please visit Mid America Arms and take a look at the Kahr Arms line of firearms, including these exceptional pistols. Our staff will be happy to help you find the right firearm for you.